Calling itself the “Heart of the Palm Springs Valley,” Rancho Mirage was incorporated in 1973 and is home to a population of just 17,180. Located halfway between Palm Springs and Indio, and ten miles from each, the community sits in the center of the wide bowl of the Coachella Valley surrounded by the Santa Rosa and San Jacinto mountains. Developed as a residential community and resort destination largely after World War II, Rancho Mirage was home to the Coachella Valley’s very first 18-hole golf course, at Thunderbird Country Club. The rest, as they say, is history. Walter and Leonore Annenberg were very involved in the Rancho Mirage community and have made their estate Sunnylands open to the public for tours as well as remaining the Western White House for presidential retreats. Today, along with golf resorts and low-density, high-quality residential neighborhoods, Rancho Mirage enjoys an outstanding reputation for exceptional medical and healthcare services. The Eisenhower Medical Center opened in 1971 on Bob Hope Drive. Attracted by the region’s unique geography and untapped opportunity, outstanding physicians brought their practices and their families to Rancho Mirage. Eisenhower is today ranked in the top one percent nationwide for excellence in clinical and patient safety. The 130-acre complex includes the Barbara Sinatra Children’s Center and the Betty Ford Center, with the 240-bed Walter and Lenore Annenberg Pavilion slated to open in 2010 to expand the hospital’s capacity and capabilities. For Rancho Mirage residents, outstanding medical care is supported by free 911 service within the city limits, with an average response time of 4.6 minutes. The easy-going, “resort-casual” lifestyle, which includes golf, shopping and fine dining, is complemented by a variety of cultural events. Each year, the Annenberg Center for Health Sciences at Eisenhower Medical Center City presents the Rancho Mirage Speakers’ Series, with dynamic speakers appealing to a wide-range of interests. Fascinated about desert living? 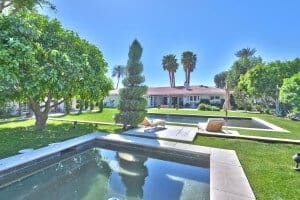 Let our real estate experts help you in picking the finest conceivable Rancho Mirage condos and homes for sale. The new City of Rancho Mirage Section 19 Specific Plan purpose is to transform the current 286 acres of vacant land in the northern end of the city into a special place for residents and property owners. What is now a collection of vacant parcels near the I-10 freeway interchange, can grow into an oasis of commercial, retail, office, restaurant, resort hotel and mixed use residential activity. Once completed, this project will generate additional employment opportunities and sales tax revenues for the city. Residents will also benefit from the addition of commercial and retail goods and services, and improve the overall quality of life. To read more information about the new Rancho Mirage project click here.